Garden Glow 2018 needs YOUR help to fill Reindeer Meadow with, well, Reindeer! We did it! We made our $3000 goal and still have days left! THANK YOU to all who have donated and help spread the word on our project! Since we’ve met our goal, we’re dreaming big and hoping to raise another $1500 for Mrs. Claus’s Retreat- a goal of ours for 2019. The poor lady has so much to manage and do to get Santa AND the elves AND the reindeer ready for Christmas, she needs a quiet place to relax. We're raising $3000.00 to bring nostalgia back to the Holidays. More than 2600 visitors came to view the 60,000+ lights of Garden Glow 2017. It's our nature to grow things like plants and trees, but we also want to grow Campus and Community spirit! 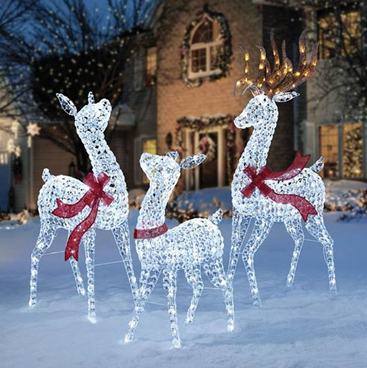 2018 Goal: build a life-sized light display called "Reindeer Meadow". We had A (singular, lonely) reindeer in 2017. We need to give that guy some family. Our goal in 2017 was to turn the Perennial Garden into a life-sized light display of the Candy Land game board - and we DID! King Kandy may even get a castle for this year's display. I am Lisa Marotz, I'm a 1989 Jackrabbit from the College of Family and Consumer Sciences. My spouse is a 1991 Jackrabbit of Hospitality. In our household, we have 1 Gopher and 2 Jackrabbits-In-Progress. (These 2 JIPs have significant others that are Jackrabbits too!) I've been the Director of Operations for McCrory Gardens since July 1, 2016. This will be my third Garden Glow. My main focus right now is to get the word out about Garden Glow and about the funding opportunities. The first year of GG, 51 people came. My first year, the second year of GG, 800 people came to see the lights. As stated above, more than 2600 visitors came last year, my second year of GG. Wow, can we triple THAT? Cindy Pfennig, Special Events Coordinator, Party Planner Plus & Organizer to the Max. She began working at McCrory shortly after I did. This too will be her third Garden Glow. She's the one you would talk to about hosting your special event, including a holiday party, here at McCrory's Education & Visitor Center. Although she hales from the North, Cindy has been willingly adopted as a Jackrabbit. "Cindy Lou Who", as I like to call her this time of the year, can be seen disguised as an elf as she strings lights on trees, sets up Santa's space to greet the kiddos, and hands out candy in the Festival of Lights parade next to the McCrory Gardens float. Christina Lind-Thielke is a 2008 Jackrabbit with a Bachelors of Science degree in Landscape Architecture. She continued on and in 2009, received her BS in Horticulture and Spanish. Christina is the Education Coordinator, Assistant Gardener, Co-Dreamer & Designer of Garden Glow. Christina has been a member of the McCrory team since her college days (give or take some time out to try her hand elsewhere.) She even met her spouse Marcel, here at McCrory Gardens. Marcel is a 2009 Business Economics Jackrabbit. Their darling Leiana looks great in her Jackrabbit gear already, as does Christina's mom & dad. This family is the epitome of what McCrory Gardens is all about - here for ALL generations. Christopher Schlenker is a 2009 Jackrabbit from with his Bachelor of Science degree in Landscape Architecture. In addition to his title of Head Gardener, he's also McCrory's Mechanic-Electrician-Plumber-Carpenter and Chicken Wire Designer extraordinaire. (When you come to Garden Glow, you'll see what I mean.) Chris is the eldest of the team, when it comes to the amount of time he has been at McCrory Gardens. Although "You can go anywhere from here" was State's motto at the time, Chris knew that "You can stay here if you want to!" Chris and his wife Abbey (2012 Jackrabbit with a BS in Nutrition and Dietetics) recently welcomed their first baby, Miss Willow Kathleen. Yes, she is as adorable as her name! Chris has been a driving force of making Garden Glow come to light since it began in 2015. McCrory Gardens won the "Facility of the Year Award" from the Brookings Area Chamber of Commerce for our ingenious and successful ways to bring tourists, guests and visitors to a location at non-peak season times. If you are looking for a unique way to give back to the people of the SDSU and Brookings Community, this is it. Our sponsors have also given to remember and honor a loved one. No where else will you find such an opportunity to be a part of someone's holiday tradition, may it be individuals or families. Even individuals with hopes of becoming a family - to have the proposal of marriage occur under the lights IS a common event. As a primarily privately funded entity, your gift will afford McCrory Gardens the means to create a wonderland for all who come to visit. If you are reading this, I don't need to tell you about the joy and pleasure that giving brings to a person. It makes you smile - it makes you happy - it gives an extra jolt of energy to your brain. Now multiply that by the thousands of people that will stop and marvel at the lighted features of Reindeer Meadow. Hot chocolate in one hand. Maybe the hand of their little one, their beloved or elder in the other. An underlying key benefit for McCrory Gardens is that you will be creating an opportunity for people to come to the gardens. To see what we can do now that this gem of the Campus and Community is protected, is crucial for continued growth to take place. We want to continue to make McCrory a place that is about research, education, discovery and enjoyment of the natural and built landscape. Our ears are up and the gardens and all who come to enjoy, are safe. By hitting our minimum of $1500, we will be able to supply our 1 lonely reindeer with 9 friends! 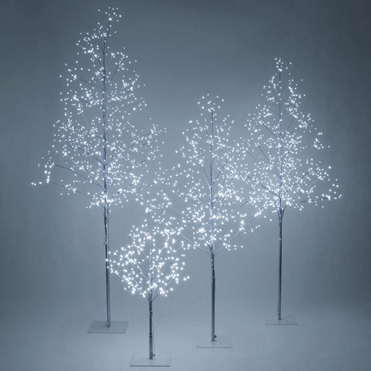 We will also be able to incorporate lit trees (5) and lit starbursts (24) to add enchantment to the meadow. *As this takes power, we will need to purchase extension cords as well. When we hit our goal of $3000, we will add interest to the entrance of the meadow by installing three (3) shooting star features. 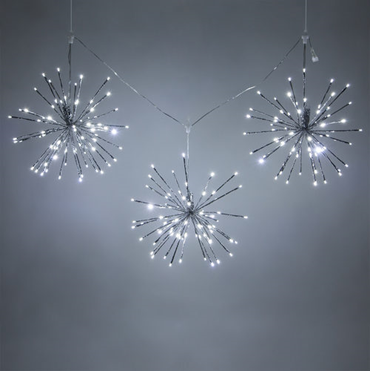 Each star is 24x24" with a 20ft long tail of lights; 400 lights per shooting star feature. 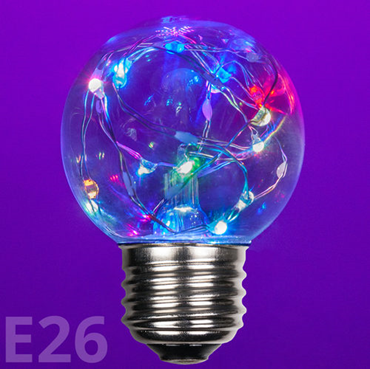 The walking path will also receive the twinkle treatment by lining it with 109' of E26 sized bulbs that are filled with multi-color fairy lights. 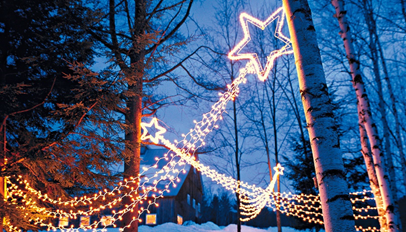 With the extra funds raised, they would be shared with the expansion of lighting needed for "Mrs. Claus's Retreat". As this is a new venture for us, and we get pretty excited about our donors, you will be kept updated on progress daily, at minimum! It took 46 sponsors to create Candy Land and Enchanted Forest of 2017 - can we add you to the "McCrory Nice List" in 2018? We will be updating these sites especially with the progress of donations, as well as the construction of Reindeer Meadow! Candy Land and the Ice Cave, as you can see from the video, are almost complete. During the week of November 13 - 16, as well as November 18 - 21, much of the other outdoor displays will be constructed, including Reindeer Meadow (as funds become available). November 26 - 30 will be focused on making the float for the November 29 Festival of Lights Parade, that takes place at 7pm in Downtown Brookings, as well as dressing up the Education and Visitor Center. December 3-7 is the week of finishing touches. December 7th - 6th annual Music and Mistletoe event - live music, fabulous food and the Grand Lighting of Garden Glow 2018. For more info on any and all of this, call, write, stop out! Most importantly, we ask for your support - financially and also sharing the word the McCrory Gardens is THE place to be. ESPECIALLY during the month of December! You don't need to give money to help us succeed! Please share this project with anyone you think would support us, on Twitter, Facebook, LinkedIn, by email, telephone, in a chat over the fence or on your blog. Starburst level: bright and shiny is the future of McCrory Gardens. Reflect your support by giving at this level! Tree level: Like walls to a room, trees give McCrory Gardens and Arboretum structure, protection and beauty. Give at this level to show your love & support for trees of all kinds! Light the Way level: 25 acres of botanical gardens can be a bit overwhelming to find your way through, especially on a December evening. As those that have gone before us have made a path for us to travel, do the same for our Garden Glow guests by gifting towards hundreds of feet of light strings. Reindeer level: McCrory Gardens was a vision developed into reality by many-a-human. Our reindeer will be named after a few of them: Sam, Ron, Jim/James, Dave, Dale, Norm, Tom & LeRoy and Peggy.